Korean-made audition shows like the format of Britain’s Got Talent or America Idol are bombarding in South Korean TV scenes. The first audition show launched in Korea that attracted huge media attention was “Superstar K” (2009). The show was aired on Mnet, a cable TV music channel and it successfully gained national interests. The cable channel’s success led other TV channels to produce programs with a similar format. More than 10 different audition programs are now running and few programs are already on their next sequels. Literally, if you switch between channels, at least once, you’re being exposed to a different audition show. 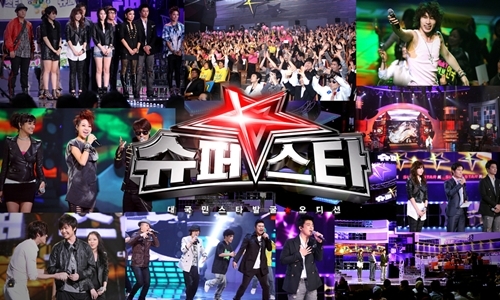 Audition fever is at its heights right now and 1.93 million people from across the country have taken parts in the 3rd sequel of “Superstar K” scheduled to be televised later this year. The figure accounts for 4% of Korea’s total population. The contestants are varying in terms of their age, job, nationality, and etc. No matter how different they are, they share their passions and talents that somehow touch audience watching the show even if winning the audition and becoming superstar comes as their highest priorities. We are already up to with those folks who have potential to be Susan Boyle or Paul Potts of Korea who have overcome their impoverished background. Audition programs are serving as outlets for Koreans’ desire to become famous. Though, we get to see so many people in the show who turn up to compete at huge opportunity cost. Deluge of audition programs is now raising concerns about their side-effects. Talent search shows are instigating false hope of an instant big win. South Korean entertainment companies are well-known for mass-productions of pop culture in Asia. Numerous young kids are seeking to be picked by top producers and add their names to the list of current celebrities. Yet the chances are very slim. According to a recent study, only 0.01% of the people preparing to get in celebrities business actually get a chance to make their debut. Because the chances of being on the TV look pretty decent, people see the arrival of audition shows as a way to come one step closer to their dream on the fair ground. The illusion is somehow exaggerated, though, through repeated “rags-to-riches” stories. Take example of Mr. Huh Gak, a 25-year-old repairman won the 2nd sequel of “Superstar K”. The contrast between his powerful voice and his plain appearance amazed the public and he even beat his handsome rivals. Though he rocked the nation for a while, he is still on a bumpy road to succeed as a real musician. Winning an audition does not put you on a royal road to stardom instantly. He is still known as the winner of huge prize of KRW 200 million, a car, and a contract to release an album. Subsequent talent shows raised the reward up to KRW 500 million. Shows are under criticism for mass commercialism. Tempted by instant wins, people jump into vague dream sacrificing the meaningful achievements in their lives built up so far. On top of that, immature teens are now hopping on to the trend as well. They already are influenced by teenager stars. The audition shows may exacerbate the current situation that people are enormously influenced by celebrities. Audition program is no longer a fresh twist compared with other TV programs. It even feels quite obsolete due to mass production of similar format of the shows and repetition. Aside from participants’ talents, producers and journalists tend to shed more light on the personal stories to differentiate the program and talents. Adding touching stories to the show and individual participant that can make people weep, and give audience “ah-“ moments is a great way to appeal to emotions of large crowds. Additionally, instant attention from the media and words of mouth of viewers can be obtained with those stories. This tactic somehow reveals and exaggerates contestants’ private life and it really kills pure purpose and charm of the reality shows. Power of story-telling is wearing out quickly and stories are deemed more or less the run of the mill. They all contain classic materials of “zero to hero” plot; born in a poor family, received no professional training to hone their skills, never gave up their dreams despite the hardships, and now I am here. Since this emotional touch does not count as importantly as before, producers often end up in over-dramatization. For example, Mr. Choi Sung-Bong, a contestant in “Korea’s Got Talent” triggered instant sensation but also criticism. Mr. Choi had such a dark history which contrasts his amazing voice singing Nella Fantasia. He said he had been living on his own since the age of 5 escaping from orphanage so at one point he had to sleep in public restrooms to find a shelter. He also mentioned that he did not receive any training to be a vocalist. Later, he was found out to be a graduate of an art high school and majored in vocal music. The show had to go through massive criticisms for distortion and made public apology. Audition fever in South Korea will not quickly disappear. Audition shows have so far achieved one of highest audience ratings in recent history. Millions of people out there are still looking for audition opportunities to be a star. However, the popularity will likely fade away as with the case of the rise and fall of former popular reality shows. Similar personal stories no longer guarantee media attention, either. Last but not least, the media are encouraging people to adore stardom blindly. It is unfortunate that only the desire to become famous in entertainment business is strongly encouraged and gains nation-wide attention but not other noble pursuits. What if there is a TV show for young entrepreneurs competing with each other with their passions and business idea? Politicians always talk about small and medium businesses are the backbone of the economy but they do not support for young talents who are working hard on their dreams at their early stage ventures. With flow of government and private funding to embrace more ventures and corporate’ needs for young talents who can make difference on their corners regardless their background or education, it is probably a good time to think of audition type of young talent shows for a future business leader. Challenge for building is encouraged but the business atmosphere is not mature yet to embrace people who fail and give those people who fail another chance. Who knows a televised program can bring a change to the status quo and offer better foundation to foster talented young venture-minds to come out of their garages? 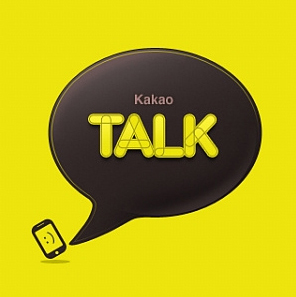 KakaoTalk has been South Korea’s biggest smart phone app success story. KakaoTalk has already 18 million users worldwide as of July 2011. KakaoTalk is top download in the App Store and the most successful social network service across iPhone and Android platforms in Korea. Number of users is estimated 20 million by the end of this year. KakaoTalk’s success continues outside of Korea as well. KakaoTalk has approximately 1 million users overseas and this figure continues to grow by ten thousands users per day. KakaoTalk now handles over 300 million messages per day. The success led Google to choose KakaoTalk as one of top developers in the Android Market. Yahoo! and Skype are chosen neither top apps nor top developers yet. Mr. Lee Jae-Bum, CEO of KakaoTalk, is in charge of creating this remarkable product and fan-ship. Jae-Bum has envisioned himself as a future owner of enterprise from his college days. He majored in industrial engineering at Seoul National University, which is the nation’s top university in Korea. He heard so many great stories about his alums at school becoming successful venture entrepreneurs. So, he also took his own venture by establishing an Internet company right after college with hope that he could join those successful entrepreneurs shoulder to shoulder. One day, his professor made introduction to Jae-Bum to work with Mr. Kim Bum-Soo, one of SNU alums and a very successful venture entrepreneur who founded Hangame, a leading online game company. Hangame was eventually merged with the NHN, a top Internet property in Korea with gross annual revenue over $1 billion. Jae-Bum’s challenge to dare to start a venture business from scratch somehow proved himself to Bum-Soo and other board members. So, Jae-Bum landed his job at KakaoTalk (previously known as IWI Lab) and he was eventually promoted to lead the business while Bum-Soo sat on the board as chairman. Jae-Bum’s early work with KakaoTalk was not that brilliant. Few pet projects such as memo aggregation or personal ranking chart combined with social network features were in production but never really took off. There were already global power brands such as Facebook or Twitter dominant in the SNS market. In a popular business strategy term, web based SNS was already in the “red ocean” and competition was high. So, Jae-Bum turned his attention to the app market. The advent of smart phone and rapid growth in European and North American markets inspired him. Jae-Bum had expected that Korea would follow such a big wave of smart phone penetration soon. So, Jae-Bum made a decision to develop mass appealing smart phone app like a messenger for smart phone. Sending short message is not too expensive but mass market loves KakaoTalk that allows users to send short messages back and forth for free. Now, users on KakaoTalk can send messages as well as photos and other attachments like other popular PC-based messenger like MSN or Gtalk. Jae-Bum’s prediction for surging smart phone market really hits the bull’s eye. iPhone was finally introduced in Korea in late 2009 through Korea Telecom and SK Telecom quickly fired back with Android phones from Samsung, HTC, etc. App market has rapidly grown, too, as demand for smart phone usage has grown. KakaoTalk has become de facto messenger tool for smart phone users in Korea. Jae-Bum has made few interesting points on his success that could be note-worthy to those folks who build their products in the smart phone universe. First, Jae-Bum emphasizes on “venture mind.” Without it, KakaoTalk wouldn’t be materialized. He values highly of those people with hearts for innovative ideas than lucrative business model. For instance, up until last year, the company didn’t turn any revenue from KakaoTalk. Team tried to design a more stable product and service first. Generating revenue was always second in the row just like Facebook did during its early days. Revenue-demanding culture often misses out this point even if that is what venture is all about. Second, KakaoTalk is also unusual in the sense that it has created a horizontal organization. Unlike other Korean companies, where top-down management is sort of cultural norm, Jae-Bum encourages active communication and debate among peers in order to keep the organization away from unnecessary bureaucracy. As an example, Jae-Bum has made office policy calling peers by their initials or nickname. In Korea’s typical office setting, it is not common practice. Though, this policy really helps and makes people to get friendly to each other even if there is 10~20 years of age gap between peers. Third, the company has done reorganization of internal team almost 40 times since its inception. It has contributed to KakaoTalk’s unhindered communication among different parts of the company and the team to collaborate. It has also made the company can better understand and react to fast-changing market needs and reflect them into the product development faster. KakaoTalk plans to elevate its popular app to the next level becoming ‘social-hub’ for smart phone users. Commerce, culture, music, and game contents are likely to be added to its main property soon. Similar to Facebook, it is likely to embrace different services and contents and want to be total service platform for smart phone users. Few market observers estimate KakaoTalk will make $15~$20m in revenue this year. KakaoTalk’s revenue model is fairly weak as yet because it only makes money from mobile gift card sales from strategic partnership with Korea Telecom. Though, KakaoTalk already has huge user base and other revenue model should be easily deployed. With its recent angel funding of $4.5 million from those top tech entrepreneurs in Korea such as Mr. Kim Taek-Jin of NCSoft and Park Sung-Chan of Danal would add key components to accelerate its product development and sales growth. KakaoTalk has its own challenges such as Apple’s strict in-app purchase policy biting back large proportion of its revenue. KakaoTalk also faces battle with top mobile telecommunication companies in Korea because KakaoTalk seems to eat up potential revenue stream from short message (or SMS) that telecom companies could have earned if there was no such thing like KakaoTalk. KakaoTalk has successfully finished its baby steps to build a profound communication platform on the wave of smart phone. We look forward to seeing how Jae-Bum would turn this business to become a global franchise in the near future. Nearly a year has passed since the introduction of social commerce by local operator named Ticket Monster. Triggered by Ticket Monster’s remarkable success, other local operators such as Coupang and WeMakePrice have sprouted and it is estimated that around 800 social commerce sites are in business throughout South Korea. This burgeoning market has even attracted U.S. online commerce giant Groupon recently and Korean social commerce trading volume is anticipated to reach $550 million in 2011. Aside from this thriving appearance, however, the dark side of the industry is also detected. Including flooding in of customer complaints, problems arising due to rapid-growth of business may have significant influence over the future of social commerce. Therefore, it seems very important to know the possible results the industry may bear within Korean market and recognize the potential risks. First and foremost, poor customer service is on the table. Most of the players in the market are likely to be at an embryonic stage of growth and tend to focus more on promoting their presence than on quality controls. Therefore, low-value deals are mass produced which in most of the times exceeding supply. Customers feel deceived when they find out voucher they purchased do not match its value promoted on web sites. Customer-related complaints include denied refunds and no unilateral customer service policy as well. This growing of customer discontent may be attributable to the industry’s low entry barrier which requires nominal start-up costs. With massive influx of unqualified players, they tend to overlook the sound relationship with customers and only seek short-term profits. They should know what is best for achieving their long-term survival of the industry as a whole. With respect to this issue, a measure has recently been taken by Fair Trade Commission to address the problems of social commerce. On May 10th, 2011, the governmental body announced that social commerce firms will also be subject to the same consumer protection codes applicable to other e-commerce sellers. This allows customer refund of vouchers within 7 days of purchase, and the use of escrow services for any purchase exceeding roughly $100 and penalties for exaggerated advertising. Whether the market is growing or not in the long run is an important issue. It is notable that social commerce has expanded its horizon to areas that could not have been a part of traditional e-commerce market. Restaurant business is a good example. Under past circumstance, there were limited ways, such as handing out leaflets, etc., for restaurants to promote themselves. Social commerce came to their rescue by giving new opportunities of marketing. While admitting the benefits of promotion from social commerce, business owners also complain about low-profit margin or sometimes even loss. Since they have to offer a huge price-cut to be entitled to sell vouchers on the social commerce sites, and with commission fees social commerce business charges, significant opportunity costs should be endured to gain desired promotion effect. This fact leaves one question. Is this business model sustainable? It may attract short-term promotion opportunity seekers only and no one may be left in the long-run. Additionally, social commerce is ultimately a commission business. More and more competitors are entering the market and only way to out-stand among groups seems to rest in low price offers by cutting commissions from what they charge currently somewhere between 20-30% in average. Under this dog-eat-dog competition, no one is for sure who is going to smile in the end. Last but not least, alteration in promotion strategy of social commerce sites is changing the landscape of the business. Originally, the term ‘social commerce’ was used to indicate collaborative purchasing of goods through SNS. However, from early this year, major local social commerce operators have begun relying on traditional mass media, such as TV ads, public transportation ads, rather than promoting their products through SNS. Because of this, some experts question whether operators in the market are truly performing as social commerce business since they no longer use SNS as vital ways in promoting themselves. This results in high burn rate among current market players and keeps new players from walking into the market as entry cost has got way expensive. It is uncertain whether the ongoing criticism over social commerce is a fundamental issue or part of a trial-and-error process that all start-up businesses go through. And, of course, there is more downside of social commerce industry in South Korea not revealed in this article. But one thing seems to be clear: Korean social commerce industry just took its baby steps and is at a critical point whether it is going to generate permanent return or end as one-time business opportunity. Augmented Reality: Know it now before it knows you! Imagine you are at a bus stop and behind a large advertisement of a beautiful woman rocking a bikini catches your eye. You’ve seen her on television ads and even on your desktop pop-up ads, but you can’t seem to recall her name. You forgot about the application you have on your smart-phone that is capable of finding her name just by a few taps on your phone. You’re probably familiar with virtual reality or artificial reality but not augmented reality (hereafter AR). So what is AR? And why should you even care about it? AR is "the use of head-mounted displays ("HMDs") to overlay computer generated images onto the physical environment." In layman terms, it’s technology that enables you to see what your naked eye normally cannot. The basic idea of AR is to "superimpose graphics, audio and other sensory enhancements over a real world environment real time." You probably have seen them on TV, especially in a soccer game. After the player fails to score, the sports commentators will mention what the player should have done supporting their assertions with computer generated graphics on the actual soccer field of where the game is taking place. That’s just a short reminder. So what’s so special about it that you need to care? It’s going to be the next bing thing in the upcoming future. Having one out of ten people using a smart-phone in Korea alone with rapid growth rate, the significance of AR soars. AR technology is usually embedded on a device that has a camera function to scan. Before it becomes widely applied in all societies, you should be able to understand its purpose and make use of it. Although there are many aspects of AR, this piece is focused on the basic function of AR – facial recognition, which few companies have already developed the technology. Polar Rose, a company from Sweden, built a facial recognition software that identifies people in any public pictures on the net. The service was later shut down as they were acquired by Apple for USD $29 million in September 2010. Another competitor to Polar Rose, Viewdle, based in California, has been focusing on a visual recognition platform for smart-phones with heavy integration of social networking sites. Viewdle, the "largest independent company in computer vision," raised $10 million from retailer Best buy, chip maker Qualcomm, and the Blackberry Partners Fund. The remaining $2.5 million and $1.25 million came from venture capitals Anthem Venture Partners and Western Technology Investment, respectively. As for a local counterpart, Olaworks offers the same technology as Polar Rose and Viewdle, though yet to be known in a global scale. They received $4 million equity funding from Skylake Incuvest, Intel Capital, and Wilson Sonsini Goodrich & Rosati ("WSGR"), a prestigious Silicon Valley-headquartered law firm. What these ventures all have in common is that they selected to develop a promising platform that possesses potential for the future that links between real-life and online worlds..
Olaworks has an edge by being based in a country where it happens to be an ideal test bed for new mobile application. Relationships with Samsung, LG and HTC enable Olaworks to have more upfront access to smart-phone users. Olaworks has strong research and development team, most of them out of from KAIST, an institution full of the top brains of Korea equivalent with MIT. Olaworks also has high penetration rate in Korea with the fact that there are 4 million smart-phone users in Korea and 1.8 million Olawork apps are already downloaded for both Android and iPhone OS. One of the early investors of Olaworks, Skylake Incuvest, was founded by a former Minister of Information & Communications and ex-Samsung Electronic’s president, Mr. Chin Daejae. Such investors allows Olaworks to expedite a firm base to develop and compete in the global computer vision industry. Olaworks will be transcending into an independent platform that may bring about a change in the AR era competing with their other peers. Olaworks is now in preparation to expand to the global market with a more active stance looking forward to seeing their strong presence in the market in the coming years. Now, I take a relaxing moment here in Youido. (Youido is Wall Street in Seoul where the Korea Stock Exchange is located.) After long and busy weeks, today is a special treat for my wife (who is in her latter part of pregnancy) and me. I’ve got introduction about Soo Spa from my close friend who works nearby. Its ambiance is quite well-appointed for total relaxation and service staffs are excellent. While my wife gets her mother-to-be treatment, I’m reading a book and also flipping few notes I’ve been working on. Over the past week, I was delighted to get to hear more about interesting business scheme on social marketing. Growing social media such as Facebook or Twitter and their search for revenue center other than traditional ad. somehow leads us to the next big market trend called “social marketing.” Social marketing and its definition varies. It can be group purchase for super discount, limited inventory release, or coupons distribution. They are already existing methods in the traditional retail industry. Though, difference is how quickly (and cheaply) their promotion gets to potential shoppers’ attention. We always appreciate people (especially friends) who already have knowledge and experience of using certain items. It can be travel experience, new Jimmy Choo, or restaurant selection. Surprisingly, we often highly rely on people in the range of our social comforts even if they are not real experts. Whether we get cheapest deal or most anticipated product in the market, we have higher trust level on our friends and colleagues and feel like we have same clout with them. Anyhow, now, marketer and advertiser needs to be smarter than ever. We all know, even articles in the New York Times, whether they are there for strong promotional motif or not. It’s a great opportunity for those who have built social network service as they’ve worked hard to build network of people with close social ties. Getting into social network, living in it, and exposing your value is best way to convert your potential shoppers to paying customers. p.s. Special thanks for the partner who works at Bonn Angels who introduced Aveda product for my wife. It was a great gift idea! I appreciate it.